Revive IT aim to develop into the ultimate market leader in the IT disposal & data destruction sector, side lining our competitors with professionalism, compliance and intense attention to detail. Revive IT wish to influence and push the sector of ICT recycling and data sanitization into a complete new creation of professionalism, data security and efficiency. The standards we operate and are certified to are detailed below. 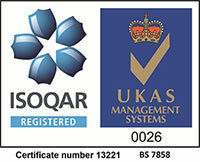 An internationally recognised standard for quality within an organisation which is the foundation of all our standards. An internationally recognised standard for environmental management which of course is fundamental to our operations due to our market sector. An information security internationally recognised standard which Revive IT rate more important than all our other standards. This again is an internationally recognised standard which contributes significantly to helping us achieve our environmental / energy efficiency goals. Revive IT hold pride in being associated with reliability and professionalism and so business continuity is integral to our principles. This is a standard which is internationally recognised. We are pleased to maintain exceptionally good dealings with health and safety mainly due to us using an internationally recognised management system for its management throughout our operations. Revive IT operate their own logistics team which is a major part of all operations. Logistics can be a dangerous task if poorly management so Revive IT have taken on-board a road traffic safety system to ensure all possible is being done to prevent incidents. 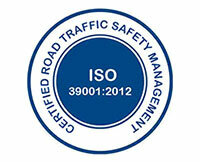 This is an internationally recognised standard. Revive IT meets this British standard in our code of conduct. 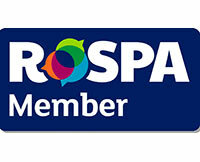 This of course is fundamental in providing secure data destruction services. Revive IT believes that our people make our business and so we invest heavily in employee training and screening. Business practice in accordance with British standard BS 7858 is there for paramount to Revive IT providing our service securely and professionally without compromise. Alongside our UKAS audited ISO 18001 accreditation the CHAS certification reinforces our devotion to operating in compliance with good health and safety practices. As part of our CHAS & ISO 18001 certifications, Revive IT is a member of RoSPA whom provide health and safety support and regulatory updates. Revive IT is a member of the British Security Industry Association which puts us in the heart of security operations within the UK. Revive IT is a firm believer in professionalism, support for the economy & community along with ethical practice. We support our employees as much as possible with the hope that they will put equally the same back into our organisation. 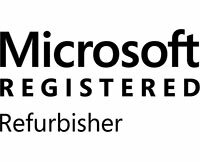 The Microsoft Registered Refurbisher certification has been gained by Revive IT which ensures any products which we refurbish are done legally and responsibly.